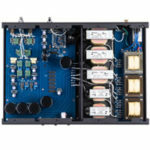 Pure and simple, that is the goal at PureAudioProject, the makers of a speaker that is part DIY and part manufactured. It’s flashy, yet practical. In some respects it’s pure lunacy, and in others it’s pure genius. 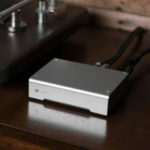 It goes by the name the PureAudioProject TRIO 15TB Speaker, or the TREO 15 BEYMA 150H, or the TREO 15 HEIL AMT depending upon the configuration of the middle driver. To me it is pure fun! I have always loved variety in audio experiences as much as any aspect of the hobby. I have built and rebuilt audio systems endlessly for over 30 years, each time in wonder at the endless variety of sound audio systems have. For years before I became a reviewer, I habitually swapped speakers to gain the benefits of dynamic and panel speakers, allowing me to afford ownership of more than one speaker. 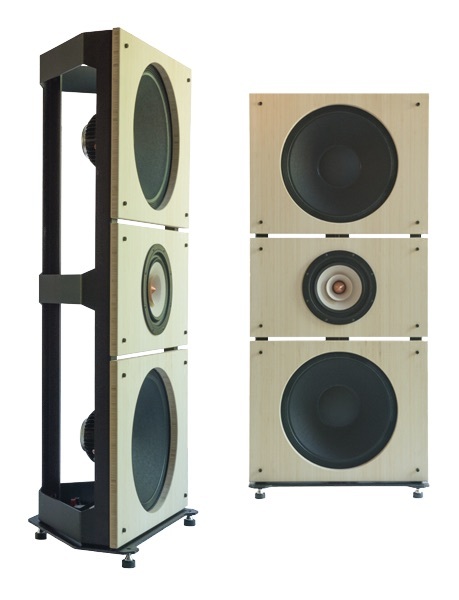 The PureAudioProject 15 series is my kind of speaker fun! I see little emphasis put on variety in the hobby, likely out of space constraints at home or the search for “the best.” For me variety is the solution to keeping the activity of listening fresh. Imagine the possibilities for owners to have three options for sound with their audio system – in one speaker? It doesn’t get much better than that for people restless for new experiences. I will be covering all three of these versions of the TRIO series. The man behind PureAudioProject is Ze’ev Schlik, who operates the company from the Israel office and laboratory. Having traveled to Israel several times, when I look at the TRIO 15TB I can almost feel the philosophy behind the speaker. Israel is a country where economy and yet thoroughness of nearly every endeavor are paramount. It’s a small country, an area just over 8,500 square miles (22,000 sq. kilometers) and only 2 percent of it is water. Yet, one sees densely populated areas and extensive use of the land through irrigation. Israelis must be efficient and sensible to prosper, and I detect principles applied to the PureAudioProject. Along with a silent partner, Thomas Sulentic who runs the fulfillment center out of Iowa, Ze’ev has sourced components of the speaker globally. The Plyboo panels, which is essentially Bamboo plywood, on the site it is called “Three Layers Bamboo,” for the review speaker’s blonde appearing natural finish baffles are CNC cut and hand finished in Iowa City, and the metal frames to hold them are manufactured in Cedar Rapids, Iowa. The crossovers are from Mundorff in Germany, and the German Oak panels are from Holzbodenmanufaktur. 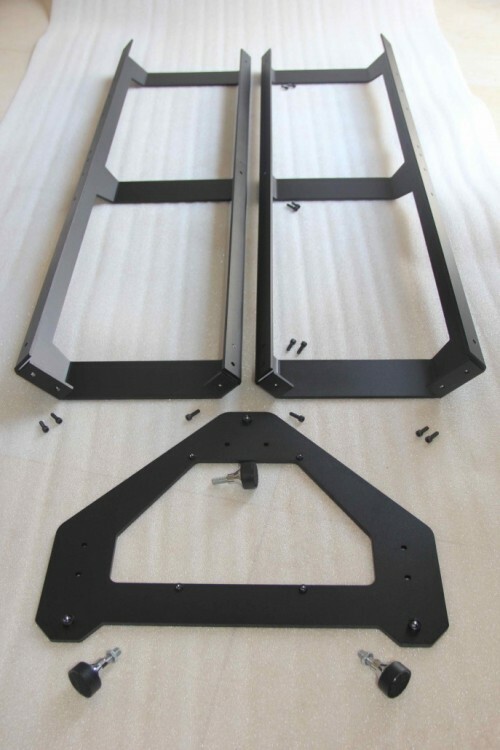 The aluminum frame forms a triangular, open back and the panels are affixed to their front mounts by recessed bolts with finger-tightened nuts. Included in the four separate shipments were Eminence 15” Alpha 15a bass drivers that to date were upgraded by Eminence for PureAudioProject to a more advanced Neodymium model and Tang Band W8-1808 coaxial 8” high efficiency full range drivers. 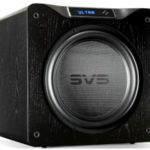 Two 15” woofers and a Tang Band are used with each speaker, the bass drivers above and below. When assembled, the speaker viewed from the front looks nearly conventional, until one spies it from above or the side. Then the open construction becomes apparent revealing it to be an open baffle design. The speakers sit on smaller adjustable spikes, a smart move for flexibility in setup. The black metal frames and “floating” individual panels for the drivers present a clean, modern look that should fit well in most rooms. The Bamboo panels also come in Carmel color. Alternatively, one can order German Oak panels with Natural, Natural Oil, Natural White Oil, Smoked White Oil, or Smoked Coffee Oil finishes. Images of these are found on the PureAudioProject website under the tab “Trio15.” As indicated on the site, all components are shipped flat pack directly to customers. -Several large boxes come over several days – not getting it set up with just drivers or panels! -One Mundorff crossover is broken; the intermediary shipping the crossovers didn’t pack them well enough. A call to the U.S. contact in Iowa City, IA had another shipped out, no objections before I had even returned the broken one. -One hour assembly? Hardly! Took me over half an hour to put the frames together! However, I am the careful type; I don’t rush projects. -Mundorff X-overs look weird, parts sticking out that seem quite low to floor after assembly. Spikes definitely needed. -Overall fit and finish looks good, tolerances for hardware not bad, everything going together without too much prodding. -Wiring for x-overs looks adequate, but my first impression is to seek alternative wiring. Then again, real PITA as the wiring uses slip on connectors. I would have to terminate alternative wiring with identical connectors. I would have preferred better connections for wire upgrades, even if a bit more expensive. -Still assembling; unless an uninterrupted afternoon or specialized tools versus an Allen wrench (supplied) you won’t finish in one day. -Eminence drivers look nice coming out of box! -I mistakenly mounted one of the bass drivers’ L/R connectors coming out the rear of the speaker to the left and the other to the right. Perfect! Mirror image placement will look good when setting up system! -I don’t see any hardware to go between the x-over and metal framework at bottom of speaker. Bought O-rings to act as protection and dampening. -Careful mounting drivers! Hold drivers in place with one hand while inserting mounting bolts; don’t let it slip! Also watch out for paper waveguide on Tang Band driver! -Keep fingers clean when assembling Bamboo panels so as to not dirty them with residue coming off bolts. No dirty fingerprints on my virgin Plyboo! -Sweet! Cardas single Banana adapters I ordered for a different application arrived today, so I’ll use them to “lift” the connection point for the TEO Audio Liquid Speaker Cables, which have very long, inflexible leads. There is enough room, but not to approach from any angle desired. -Snap on connections for the wiring not great. Gold plated, but some are wiggly. If I change out the wiring, I can’t do so permanently, i.e. with solder, because the wiring will have to come off in order to put in different crossover for Heil or Beyma drivers. -Finished! Woa! These things are deceptively heavy. Careful when moving so as to not crush the tender Tang Band paper waveguide! Nice review! Would be great if you could tell us how it performs with a 2A3 or 300B amp. There is also now a Voxativ driver version–hope you can report on that version too! Thanks for the compliment; I believe I will be using a lower powered amp in the future with the speaker, so keep watching! In the aftermath of the TB15 review I was sent a set of upgrade woofers, the NEO15, which I installed on the speakers. PureAudioProject has now moved to the NEO15 as its standard woofers, which I feel is a good move. The changeover to the NEO15 woofers was highly efficacious. The already respectable performance in the low frequencies was improved significantly by the insertion of the NEO15. The speaker has become more prodigious, and both the tonal quality as well as cleanness of the bass has improved. The increased output of the NEO15 is a perfect solution to address any lack of bass impact inherent in an open baffle design. I appreciate that PureAudioProject continues to improve the product and allows for owners in the field to readily access those improvements. It means those who have purchased will not be left behind as a remnant of progress. I have been blindsided by the beauty of the Trio 15 Voxativ. I didn’t expect this experience, and it has caused me to reconsider what top end sound is about. With the Voxativ there is a leap upward in terms of the refinement, the characteristics associated with the most beguiling systems. I could take an hour to discuss this – and I will in my review (Actually, it will take many hours to distill it to a review.) -but just as one immediately sees and if given opportunity to ride, sees and feels the difference between a sport sedan and a supercar, so also my ears hear the intensity, the focus, the brilliance of design of the Trio 15 Voxativ immediately. Frankly, this speaker is causing me to reconsider my conclusions regarding premium sound. I had summarily dismissed single driver speakers over the years as inherently incapable of achieving the experience I wanted, mostly because of their limited frequency response. I also didn’t like the boxiness associated with hulking cabinets and the coloration contributed to the sound. These caveats are both removed by the Trio 15 Voxativ, and my ear tells me I am hearing a genre of sound as legitimate as full range dynamic, big ESL, line source, and omnidirectional speakers. In a nearer field setup the Trio 15 Voxativ is second to none in refinement, something I would not have predicted. I have to toss away my preconception that single driver speakers are more convoluted, less articulate than multi-driver speakers. I’m still wrapping my head around this development; it’s forcing a paradigm shift in my audio worldview. I always knew that as I am a System Builder I would need to explore single driver speakers. I didn’t expect this one to perform at such a level that from the get-go it has to be included among the very best I have used. But, that is precisely what has happened. I have had the TB-15 NEO for about a week now and like them very much. I was wondering what the differences were when you installed the Voxativ, I am considering it but was not sure if it was really worth the extra $, it is quite a jump in price. Hi Doug. How is it going with the Trio 15 Voxativ review? I am very much looking forward to it! Going to order the V on Monday. I like D’s thinking on these speakers!! Is there an ETA for the Trio 15 Voxativ review? Your May 8 post has my plans on hold. Good move, Gary! You’ll love ’em! Samlam, as concerns the review of the Voxativ, there have been delays due to logistics with the speakers. I’m working as expeditiously as I can. It will be a while yet. 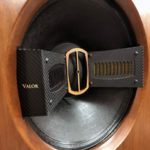 However, if it is between the Tang Band and Voxativ, I suggest you move ahead with the Voxativ, as it is in an altogether upper class of performance in terms of finesse. Fired up!! Killer sound. Sanders type sound. Running on 325w Maker Audio NL 14+. EAR 890 coming to A/B. Can you say dynamic and fast with MR to live for!! Got upgrade wire coming to re wire the crossover to speakers. Want to run all SilverSmith Silver but the crossover has microscopic kook up spaces. I’m glad you like the speakers! They are a compelling alternative to the other technical options available today. You will enjoy the upgrade in the wiring. You are going to hear every nuance in the changes you are comparing and it will make the speaker even more compelling for you. Kudos! Fully broken in with the upgraded wire. I have read many reviews in my 15 years of being a Phile but this review just hit me in the right way where I had to buy and try. Did all the little tweaks D recommended. 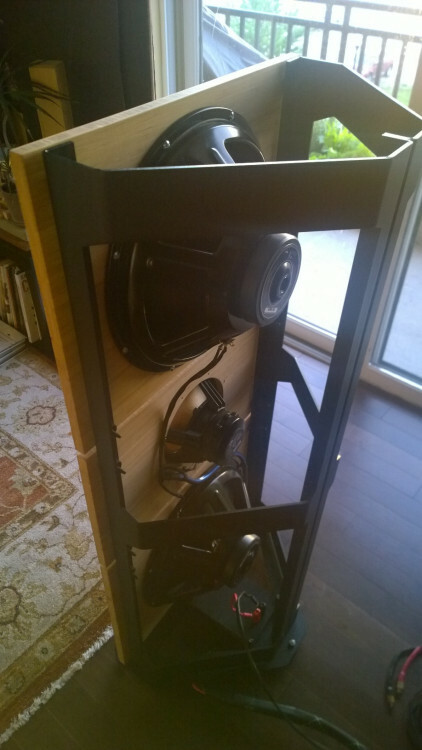 Upgraded the speaker feet from spikes to …… Running the EAR 890 Amp with great sound.